Legendary two-fisted tales from comics’ Golden Age are available in handsome hardcover editions for the first time ever! The Nazi menace has fortified the entire European continent to repel any efforts at liberation. Uprooting these entrenched forces will take more than a navy, more than an air force, more than a mighty army-it will take the Commandos! 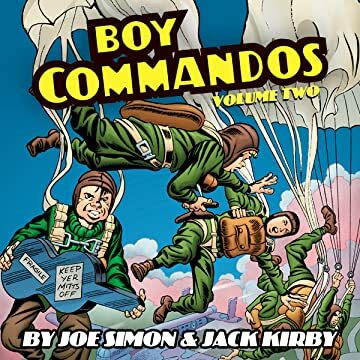 Led by Captain Rip Carter, the Commandos stand ready to strike at the enemy with devastating surprise anywhere in the world-and serving alongside these highly trained men are four irrepressible youths whose fighting spirit more than matches their elders’ determination. Jan, Pierre, Alfy and Brooklyn-these are Joe Simon and Jack Kirby’s Boy Commandos! 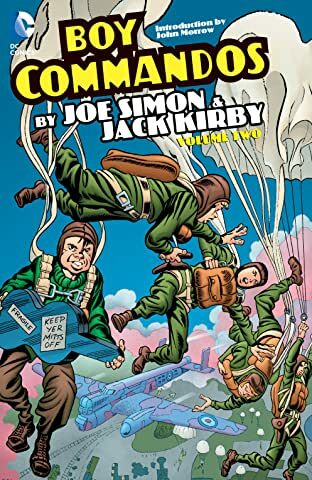 This second volume collects the Commandos’ adventures from DETECTIVE COMICS #74-85, WORLD’S FINEST COMICS #10-13 and BOY COMMANDOS #3-5 together with an insightful introduction by Kirby chronicler John Morrow.